Before Madelyn was born, you may remember that Alison and I were consumed with reading about all things baby. 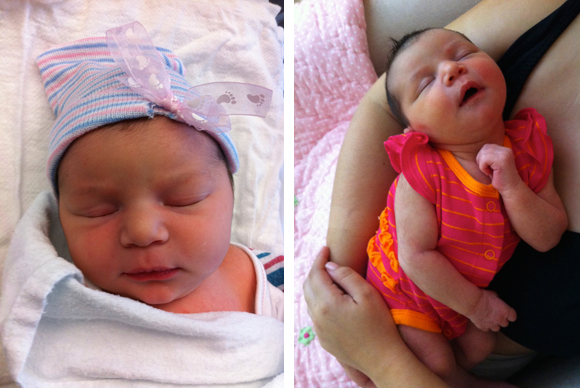 Well, after Madelyn was born, we didn’t stop reading — it turns out the questions only multiply after the baby shows up! I picked up the sequel to my favorite pre-baby dad book and have enjoyed following Madelyn’s growth month-by-month instead of tracking my insanity month-by-month (though I know it’s still there). However, there’s one book I began reading before Madelyn that I continue to reference pretty frequently. It was a recommendation from multiple fellow parents called Healthy Sleep Habits, Happy Child by Dr. Marc Weissbluth. I’ve really become something of a convert after reading it, and I seem to always find myself trying to enforce M’s sleep habits and push her “schedule.” Apparently, because of this, amongst Alison’s mommy-and-me friends, I’ve become known as the “Sleep Gestapo”, but I prefer “Nap Nazi” (because of the alliteration of course). This book about healthy sleep is the reason why though… well this book, and the fact that it was worked wonders for us so far. A good sleeper from the beginning! Honestly, Madelyn has always been a good sleeper, so we’ve definitely had an easier time than many other parents I know. But some of her great sleeping, I’d like to believe, has a lot to do with what I learned from reading this book. I won’t lie though — I haven’t exactly read it cover to cover. It’s not exactly riveting, at least not the same way my “being a dad” books are. But I’ve read enough of the important parts to gather the information we have needed as parents to make sure that Madelyn is getting all the beauty sleep she needs…and so are we. And it’s not just about us getting sleep too. For me, it’s about having time to ourselves and creating a good balance of time being parents and time being spouses. There is one caveat to all my carrying on. I’ve come to realize that no matter what we read or hear from other parents, nothing can replace our instincts as Madelyn’s mom and dad. Alison and I know her pretty well at this point, definitely better than anybody else, so we are usually pretty good at figuring out what she needs. But we’re still pretty new parents, and things change so quickly, it’s nice to have some reference points and that’s what books and web sites and Alison’s “mommy boards” provide us. 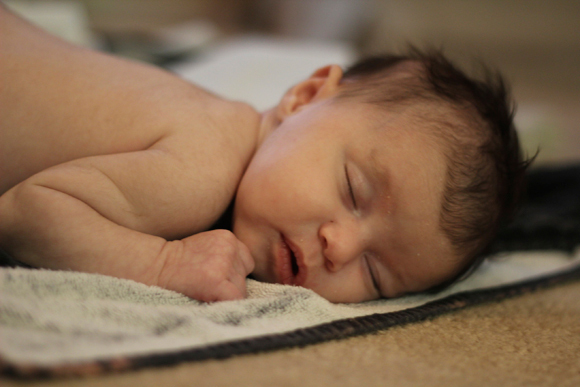 So between Weissbluth’s pages, other parent experiences, and our own Madelyn-sense, we’ve been able to come up with a really great sleep plan that works for us. A little bit of this…a little bit of that. I know it wouldn’t work for everybody, but it’s been really great for us. One thing I like about our sleep philosophy with Madelyn is that, even though I have a reputation as the enforcer of a sleep schedule, we really aren’t that tied to specific nap times. It’s really more about reading M’s tired signals (when she yawns or rubs her eyes) and being more conscious of the stretch of times she’s awake. It’s about consistency in the sleep routine (yay Sleep Sheep and Lovey!) and realizing the importance of sleep in her growth and development. Sometimes, I get home from work late and Madelyn’s already asleep. Sure I’d love to see her and play and have fun, but parenting sometimes requires a degree of unselfishness, and her sleep is important. The other thing that’s great for Alison and me is that, sometimes, we just have to throw everything – nap schedule, bed time, consistent routine – completely out the window. Maybe she has to stay up for a baby naming, go with us to dinner at a restaurant, or wake up early and skip a nap for mommy-and-me. It’s okay! We know we can get her sleep schedule back in order after a day or two of being out of whack. 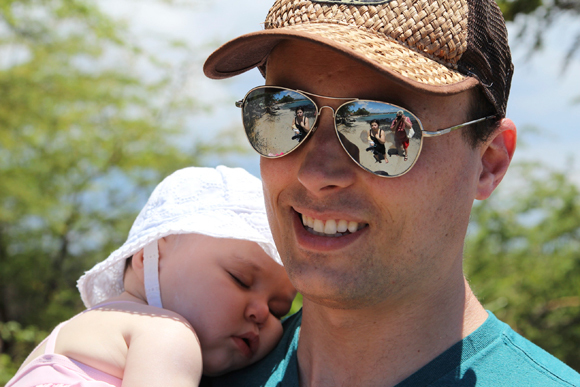 Asleep on Daddy's shoulder on the beach of Hawaii. She was soooo tired! We just recently got back from a week long vacation in Hawaii where, needless to say, M’s schedule was pretty messed up. But looking back, she was actually kind of a rock star. I mean, she never really adjusted to the time change, but given her lack of naps of all her abnormal night wakings, she did pretty well. And now that we’re back, she’s adjusted pretty well. Heck, she’s asleep as I write this! Yes, yes, I know…she’s a good baby. We’re so lucky. I get it. But I think it’s also because Alison and I have sleep-trained her so well. It’s important to us. 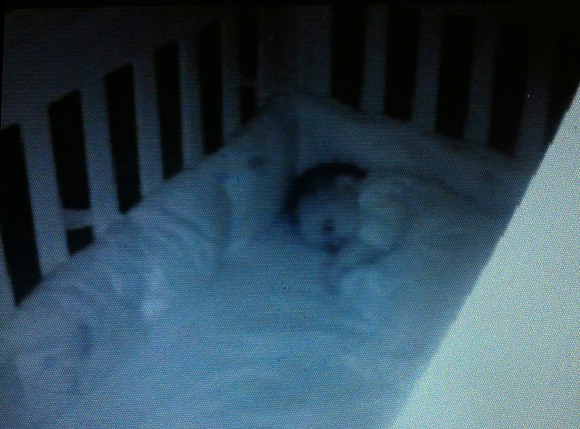 Aaaaah, I love watching her sleep in her crib. Sometimes I look at her on the monitor and all I can think is, “I love her.” Is there anything better than the sight of a sleeping baby? I think not.